The lovely Megan at Girl Meets Camera an American Army Wife living in Korea with her husband and little ones honoured me with the Liebster Award. 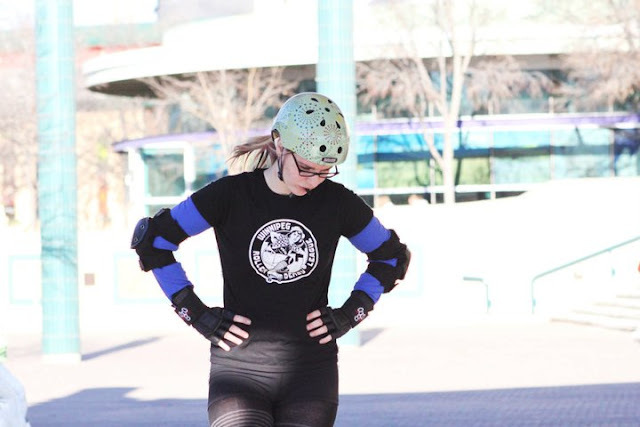 Oh and she's a derby girl! She's also the brains behind a super cool mug swap and you should totally read this post about what she will and won't miss about Korea. 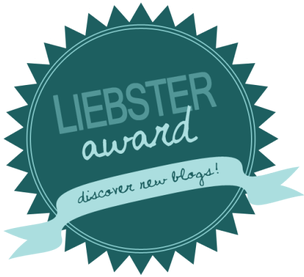 Liebster means “dearest” in German and the award is given by bloggers to bloggers. Spreading some blog love to the blogs you love to read. Nominees answer the 11 questions in the post that nominated them and then will leave 11 more questions for their own nominees to answer. Get it? Easy peasy. 1. What is your favorite blog post you have written? 2. If you could have any profession what would it be? Honestly, I've always wanted to be a writer. I never really wanted to be anything else as badly as I wanted to be a writer. And here I am...a writer...unless the job of WonderWoman suddenly opens up...then I'm all over that. 3. What are 3 blogs you read every day? Not blogs but I read reddit and cracked pretty much daily. As for blogs I read The Militant Baker, 6 months to Live and Fearful Adventurer. 4. Do you like breakfast for dinner? LOVE IT! People who don't make my heart sad. 5. Do you schedule blog posts? Yes. Especially when I'm traveling. I fell off the scheduling horse during the summer...which is weird because one would think that's why you would remember to schedule more often. Not me. But now with life getting a little busier than usually I am getting better at scheduling blog posts again. 7. Any advice for someone wanting to start a blog? Have an idea of what your first 5 blog posts will be. You don't need to write them. Just have an idea. This way you won't fall into that trap of starting a blog and then going, "okay...now what!?!" It will also help you find your niche and build momentum. An editorial calendar is also your friend. Seriously, it is. I have a blog planner that is AMAZING! I have no idea why I only started using one this year. I recommend every newbie blogger gets one in some shape or form. 8. Do you consider yourself crafty? I use to....then pinterest was invented. And now everything I "craft" kind of looks like a Sunday School craft project. 9. What inspires your blog posts? Everything. I find because of my blog I actively seek out things to blog about which has made me a far more observant person. Also the desire to connect with the people we left behind. This blog has become not only my way to share what we're up to with our community of people back home but also my way to tell them "We're okay!" And it's a bit of a love letter to our life here. 10. Why did you choose your blog’s name? Hausfrau: (n.) The German word for Housewife. So loosely "translated" the title means the doubtful or questionable housewife. Honestly, I don't strike people as the housewife type. I swear a lot, I hate doing the laundry, I'm pretty cool with clutter, I never make the bed, and my cleaning skills are pretty questionable. But there is a part of me that wants to be good at some of those typical domestic tasks. Although as my father has pointed out to my mother a few years ago, "If she's good at what she does for a living why do her cleaning skills matter?" Which is true my sink might not always be shiny and I might currently be running dangerously low on clean socks and underwear but I am AMAZING at my job and other things like not smothering my husband in his sleep and making bacon nachos. The name (and this blog for that matter) happened in July of 2010. I decided to leave my job. I needed to step away. I wasn't coping well anymore. I worked as a fundraiser and volunteer coordinator for a grassroots wish granting organization that granted wishes to children in my province with a life-threatening illness. Previous to that position I worked with grieving parents. The time came where I needed to step back from my career and collect myself. I had lost myself somewhere between working with children who may or may not die and working with parents who are walking a very dark and lonely grief journey. So I walked away. I had the full support of my friends, family and husband. So I was faced with a rather uncertain future. I did go back to work about 6 weeks later at a much different organization in a much different role. A year later though I found myself faced with an overseas move where I would once again become a stay-at-home wife with questionable skills. 11. What are some of your favorite things to do? Bake, cook, go on adventures, binge watch CSI and Criminal Minds, write using my typewriter, play with my film cameras, roller derby, roller derby, roller derby, hike, cuddle with the husband, read....did I mention roller derby? 1. You're trapped on a deserted island and you can only have 3 cds (old school I know) with you, which ones are they? 2. What is something that happened to you in elementary school that you're still a little mad about? 3. If you could speak any language as a second language what would it be? 5. You've found 10 bucks in your winter coat, how do you spend it? 6. Best compliment someone has ever given you? 7. Dumbest thing you've ever said to someone. 8. What is your favourite word? 9. What profession other than your own would you like to attempt? 10. If heaven exists what would you like God to say to you when you arrive at the pearly gates? 11. What sound do you hate?